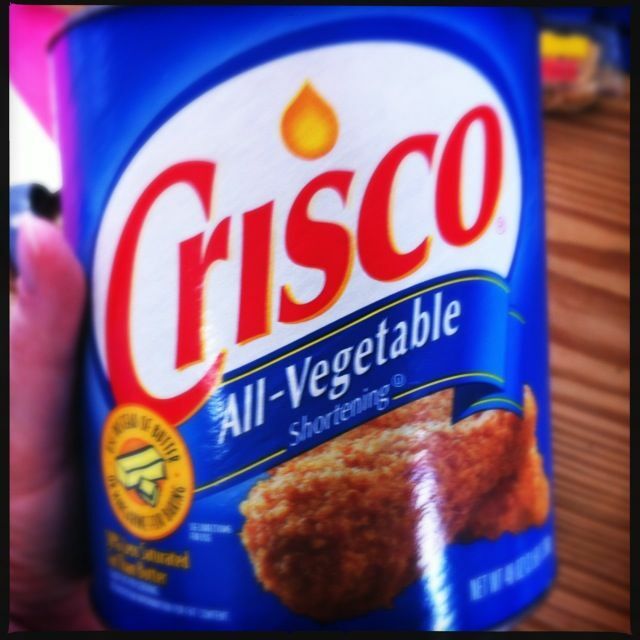 Here’s a cooking tip that my mother taught me: how to measure shortening. 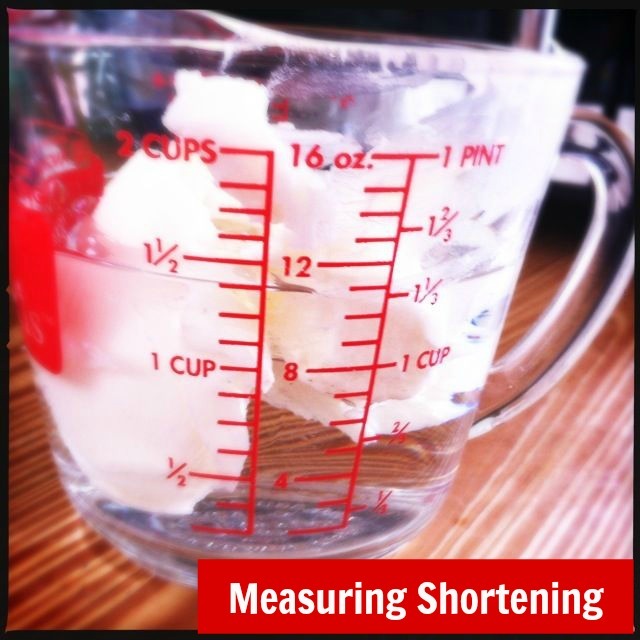 If you need a half cup of shortening, then fill your liquid measuring cup with a 1/2 cup of water. Then scoop in enough shortening to left the water level up to 1 cup. Need a cup of shortening? Then scoop in enough shortening to raise the water level to 1 1/2 cups.